About a month ago we reported that environmental testing had detected elevated levels of radon in a residential area called The Acreage in Florida… and that 13 families in the development had children who currently suffer from or did suffer from brain tumors or cancer. The Palm Beach County Health Department also conducted in-depth interviews with 12 of 13 families. They did not, however, come up with any definitive explanations for the cluster of cancer cases observed. Now, after months of back-and-forth between the families, the Health Department, and various State Officials, it appears as though the State of Florida will step in and perform its own testing and hopefully find a reason for all the illnesses. THE ACREAGE – State officials will test the water and soil at cancer-stricken children’s homes in The Acreage, said the Florida Department of Health’s chief of staff. That decision, which the children’s families had sought for months, was disclosed Friday. “If they want us to test it, we will,” said health department Chief of Staff Robert Siedlecki Jr.
Senate President Jeff Atwater, R- North Palm Beach, also expressed sympathy. … while others felt the State had no reason to get involved and indicated that the inconclusive nature of results from previous testing did not immediately warrant another round of (more in-depth) environmental testing. However, state environmental officials tested water last year to help the health department. Its samples from 50 wells chosen randomly in The Acreage indicated a few homes had elevated levels of radium and other radioactive substances that could result from natural causes. No matter how you look at it, every family in that area has suffered. Whether in the form of illness, stress over not knowing if a loved one may suddenly become ill, or greatly diminished property values because no one wants to move into a suspected cancer cluster, no family in that area has escaped unscathed. 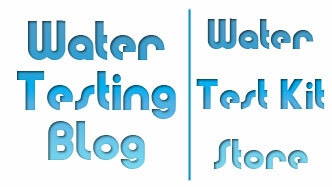 All of us here at Water Testing Blog hope the State of Florida can get to the bottom of things and help those folks out. Can a Person Test for Radon at Home? Absolutely. 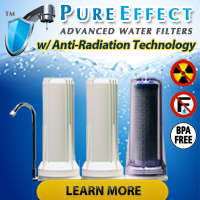 Test kits exist for detecting the presence of radon in air and in water. One can also install radon mitigation systems to reduce and/or remove radon from a building.